Innovation is core to the way in which the world can move forward. Data science, mobile purchase, apps, the cloud, digital and social media – these are the things which come to mind when we think of innovation today. 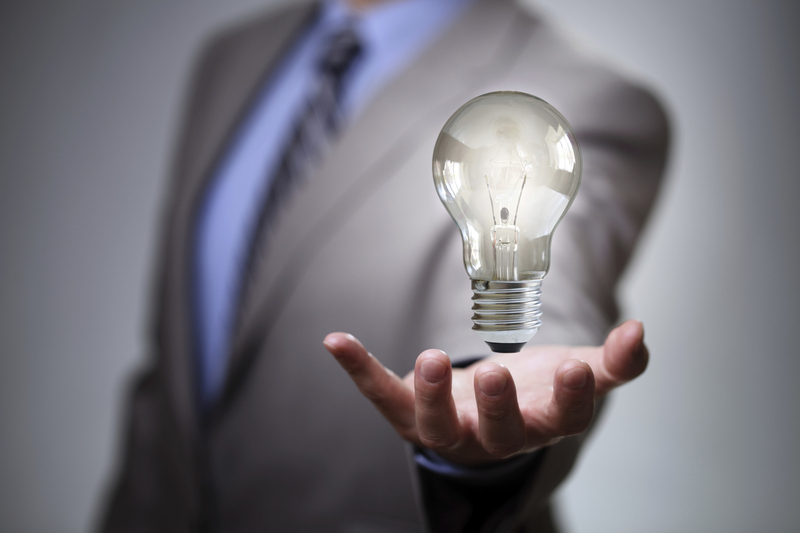 But Innovation is not just technology, it is an enabler. Innovation means taking that which exists and making it better. 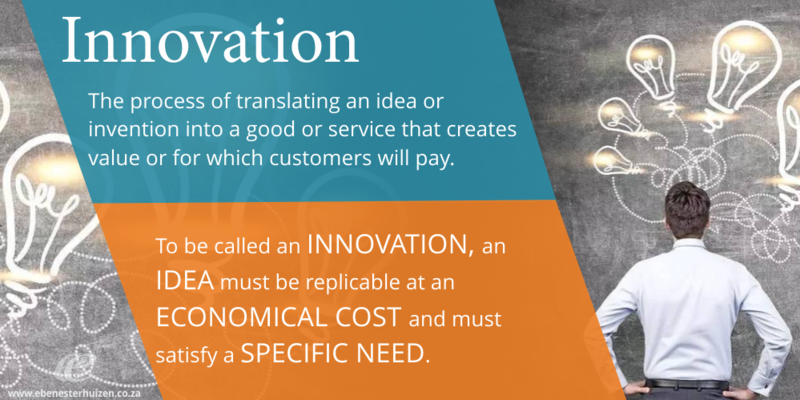 As opposed to invention, which means starting from scratch, innovation merges and couples unlikely business, technology (or even non technological aspects of life and science) to create something new which adds value. In retail, the changing consumer mindset has shifted buying and shopping habits in a way that was not fathomable 10 to 15 years ago. Aside from having to have a digital presence (website, social media, mobile app), where consumers can price check, read brand reviews, and potentially even buy their product of choice, brands today have to add value. 96% of consumers with a high disposable income check reviews online before purchase. How long before this is every customer? 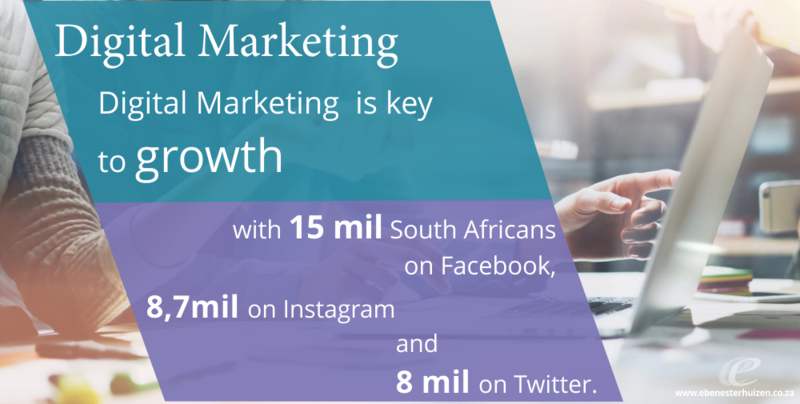 So, technological innovation or digital marketing, is a must. But innovation happens in all spheres of business. HR processes, management style, communication with clients, customer engagement program. Even in store and staff training can easily happen in new interesting (offsite and mobile) ways. 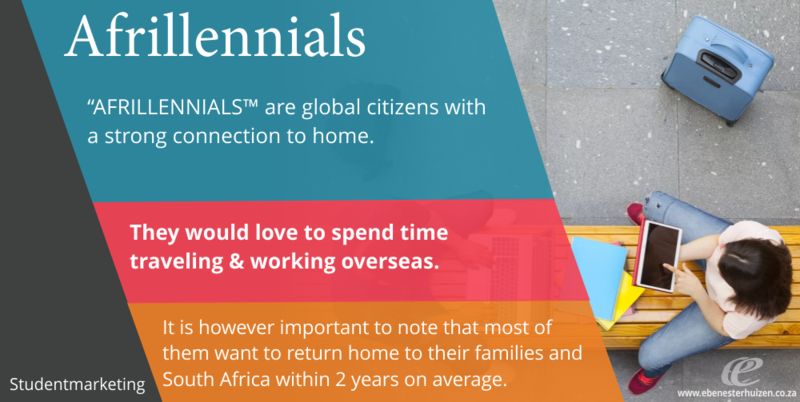 The millennial generation (in South Africa known as the Affrinennial) thinks differently to the Baby Boomers, and Generation X and Y. Are we communicating with them in an innovative enough way? Do they care about the way in which we’ve traditionally marketed and interacted with consumers and shoppers. Events, PR, shelf layouts, planograms, store management protocol and CRM through reps – it’s all changing. My team at OnShelf and I are constantly scenario planning. Through consumer research, discussions with key trade partners and retailers, we work out different options of what we could expect in the market place. And based on that knowledge and the skills and technology available, we build new solutions – whether it is tracking sales, monitoring shelf space and forward share, measuring the effectiveness of gondola ends and advertising space. The South African customer is looking for both value and customisation. Your pipeline of products should be agile and able to change fast. Work with the latest trends, whether it’s a new factor sunscreen, or less chemicals in your formulation. Consumers are continually browsing the market and need solutions as With a 7 second attention span, you have limited opportunity to convince this customer. It’s here to stay and how well you do it determines your longevity. Build for innovation in this space, in the knowledge that living services, robotics, augmented reality and the internet of things and will become the norm 5 to 10 years down the line. Read here for more on Digital Innovation. The trend in the past 10 years has been that consumers want better products for themselves and their families. 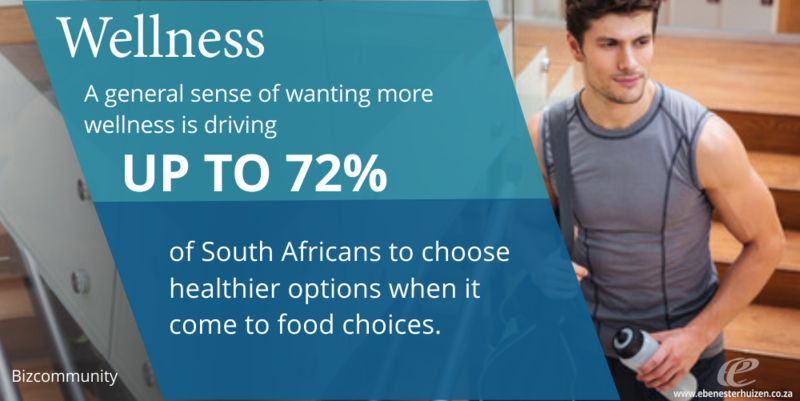 A general sense of wanting more wellness is driving up to 72% of South Africans to choose healthier options when it come to food choices Increased rates in cancers and other lifestyle diseases, which have largely been reported by independent sources as being caused by bad eating choices and too much medication, has resulted in the boom of a new market – and a new category. Not only do consumers want to eat healthier and organic, they want to breathe it, put it on their skin and wear organic too. Of course, the wealthy will get there first, but then so will everyone else. It’s not niche forever. It’s mainstream forever. Innovate your brand if you’re not already in this space. The boom in the spaces that stores like Dis-chem and Spar have allocation for natural, organic and health food brands are indicative of the change, as is the growth in the number of health food stores like Wellness Warehouse. As the world becomes more digital, as humans, functions of senses, we crave the physical. It’s only natural. 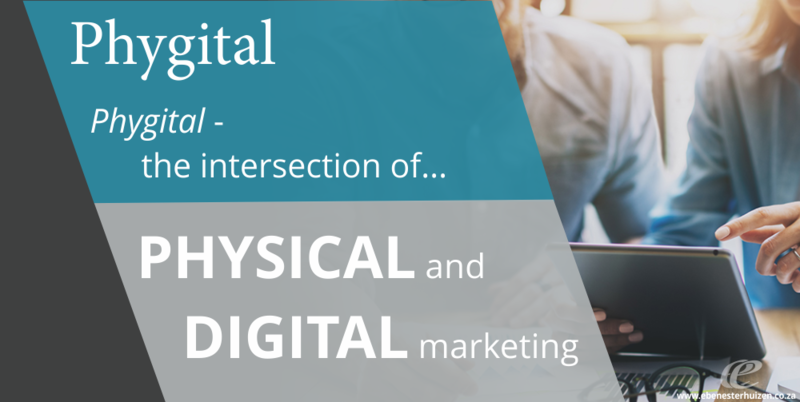 Phygital is the integration of physical and digital. At a retail store, this means creating an opportunity for experiential marketing at the shelf or via a promoter. Physical aspects of touch, taste and smell can’t be simulated. Use this to provide a happy relief for your customer who wants more than digital overload. 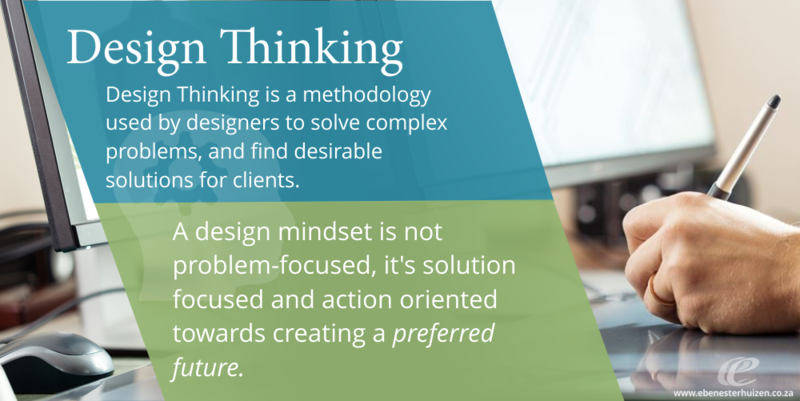 Roughly, the concept of design thinking is a combination art, science and human psychology. Design-led companies such as Apple, Coca-Cola, IBM, Nike, Procter & Gamble and Whirlpool have outperformed the S&P 500 over the past 10 years by an extraordinary 219%, according to a 2014 assessment by the Design Management Institute. How do you build design thinking into your organisation. What are you doing in terms of innovation in 2018?